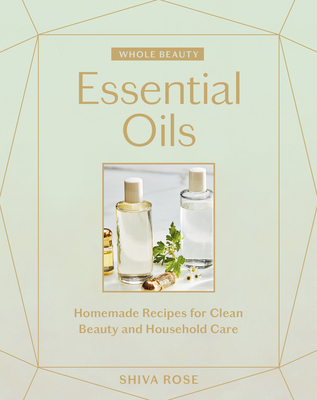 Harness the power of essential oils through easy, nontoxic recipes for daily home use (dishwashing liquid and a bleach alternative), beauty (toners and essential oil perfumes), and more. After overcoming life-threatening autoimmune conditions, and through a desire to celebrate authentic, healthy living without sacrificing beauty and glamour, Shiva Rose created the holistic lifestyle website the Local Rose. She developed her own nontoxic, all-natural skin-care line that nourishes the body, skin to soul, leaving the skin with a luminous glow. She is the author of Whole Beauty. Rose lives with her daughters, honeybees, chickens, and cat in the Santa Monica Mountains, where they try to live in harmony with Mama Earth.